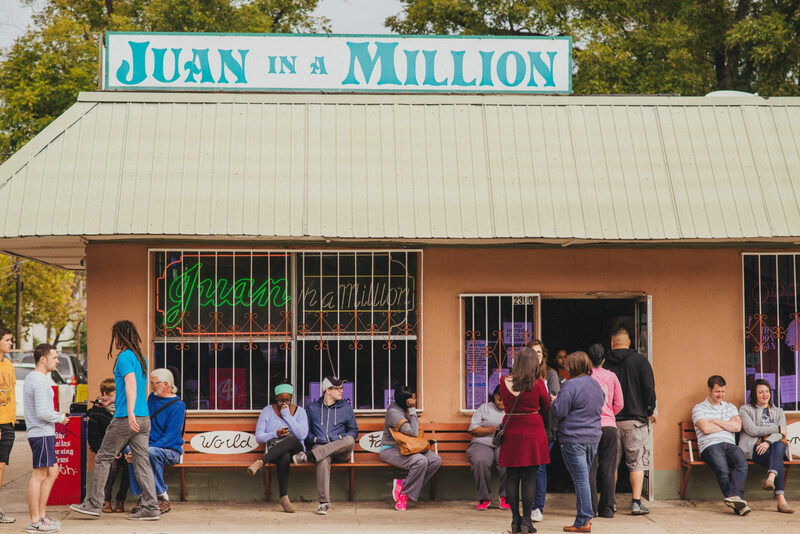 Juan in a Million has been serving Mexican breakfast and lunch in East Austin since 1980. 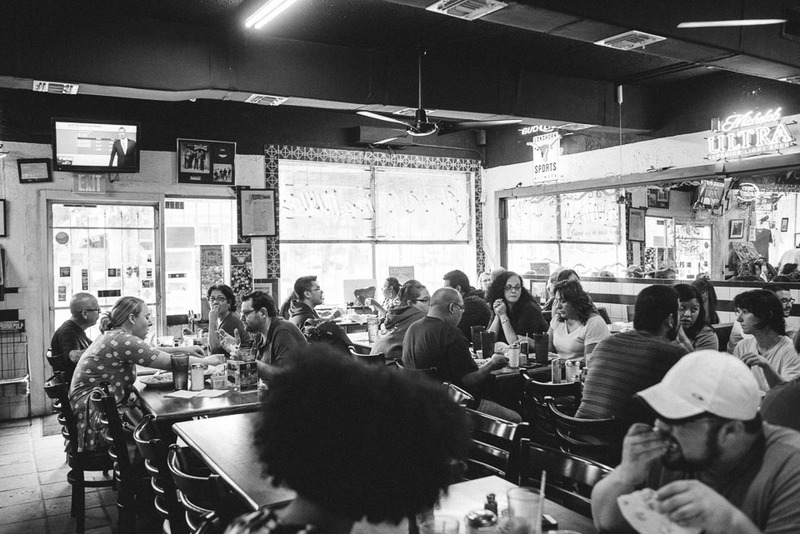 Opened by two school teachers, Juan and Myrna Meza, the restaurant values their homemade recipes and welcoming everyone like family. Juan still shakes hands with everyone who walks through the doors. 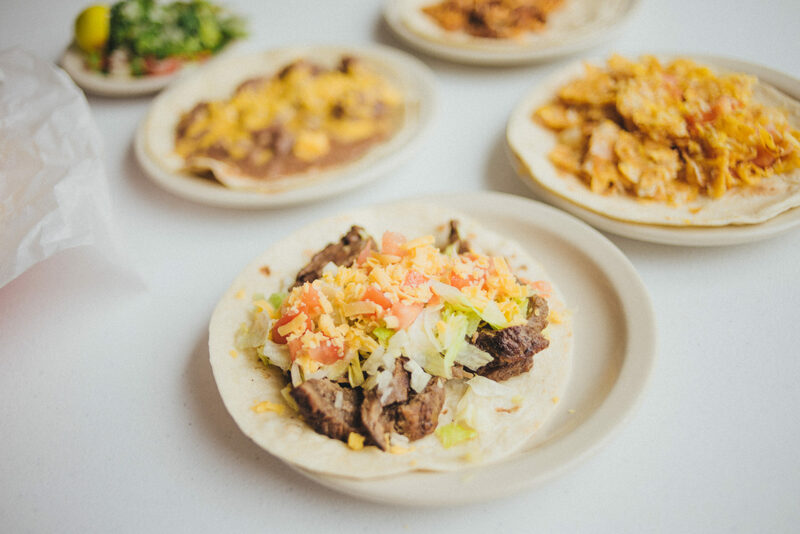 Home of the Best Hangover Eats in Austin (Eater) and selected in the Top 50 Breakfast Tacos in the U.S. (Business Insider). We welcome you to enjoy our original, homemade recipes such as Enchiladas, Con Queso Breakfast, Migas and Menudo. 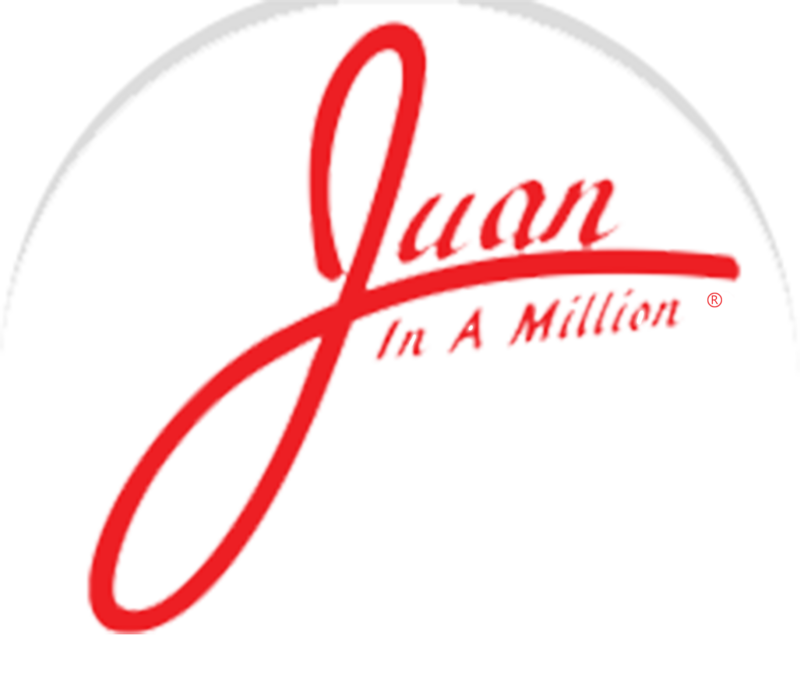 The Don Juan Taco is allegedly big enough to feed a family of four. Do you have what it takes? The current record is nine tacos for the Men’s category, five for Women’s (completed in 51 minutes and 43 seconds!! ), (attempted by Adam Richman on Man v Food).